Quite, clear, safetysubmitted by Zhiyuan H. - Jun 25, 2018 |Recommended: YesI will suggest them move to there. Excellent Place to Livesubmitted by Spencer S. - Mar 12, 2018 |Recommended: YesIt's great Management is very responsive. I love living here. Your pool area is beautiful. The lake is my favorite place. Apartment is very nice. Pool table needs new covering. submitted by Pamela I. - Feb 28, 2018 |Recommended: YesVery friendly staff, most people are respectful and trustworthy. The lodge has great parties and like to get the residents together to enjoy meals or activities. Very nice place to live despite the area where it is located. Great place to live.submitted by Carey H. - Feb 03, 2018 |Recommended: YesNice safe property. Love love lovesubmitted by Chris M. - Jan 29, 2018 |Recommended: YesProbably one of the nicest apartments around in my opinion I love the overall look of the community and all the amenities offered. Their response to maintenance requests is impeccable. Rest assure that if you have any issues they'll be resolved very quickly. I definitely intend on staying here until I have to relocate. Living at the Lodge at Lakecrest is like Stepping Into Heaven submitted by Terry L. - Jan 29, 2018 |Recommended: YesI love it It's not perfect, but almost. It is mostly peaceful and quiet, people are genuinely respectful and cordial. The Staff is always helpful, timely and efficient in solving problems and meeting the residents needs in a timely, professional and courteous fashion. I truly enjoy coming home from work to the Lodge everyday, and when my family visits they love the Lodge also. I even spend time feeding the Ducks on the Lake and walking around the Lake listening to great Classical Music. I have enjoyed the use of the Movie Theater with colleagues from work who also love the Lodge On my days off I genuinely stay home because living at the Lodge is so nice I hope to be here for several more years before retirement. Perfect Apartmentssubmitted by Quierra R. - Jan 12, 2018 |Recommended: YesThe front staff are personable and professional. I just renewed my lease second ago. 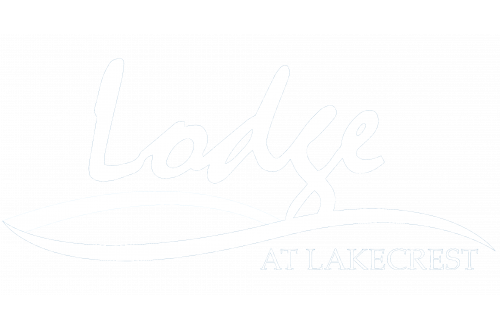 Although I wanted to be closer to work, I could not find another apartment complex with when a semblance of what Lodge at Lakecrest offers. I'll pay more for gas to enjoy a fitness center, movie theatre, free popcorn, beautiful pool and lake, gorgeous apartments, optional garage, friendly mailman, timely maintenance personnel, and more. Wonderful communitysubmitted by Sheryl - Aug 27, 2017 |Recommended: YesWell maintained grounds and the staff is very friendly.